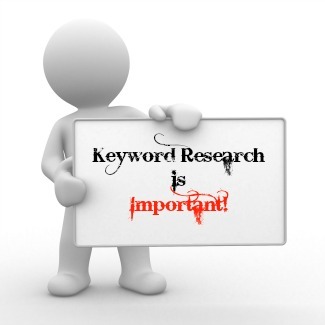 For those people who own websites and conduct business online, keyword research cannot be a new terminology to them. Keywords are undoubtedly some of the most vital tools usable in the online marketing business, especially when it comes to researching a business on the internet. When such keywords are utilized expertly, they can open up great opportunities where online consumers search and get the products & services that you are offering for sale. When your website is well optimized, it will enable your business to identify or relate itself to search engines which bring about openings for your customers. A web owner who understates the power and the importance of expertly done keyword research does so at their own peril. You should never be afraid to outsource your SEO, especially to high quality local SEO consultants. Well done keyword research can come in handy in helping you to carry out successful SEO campaigns that will drive traffic to your site who will later on buy your precious products. It’s also important to remember that keyword research plays a huge role in CPC and PPC marketing campaigns. In order for you to use keyword research to your greatest advantage, you need to thoroughly know your customers as well as the market in general. You must understand the thought patterns of your customers and how they make decisions to buy certain products and leave out others. Avoid trying to get insights from your fellow competitors as they may not be on the right track in their keyword research endeavours. Instead, the best thing to do would be to have thorough knowledge of your audience and begin thinking the way they do. This will enable you to develop profitable keyword ideas that you would never even have dreamt of. Again, you should also avoid over-relying on the freely available tools for keyword research since your competitors are probably relying on them as well. Whenever you are receiving traffic from a search engine, it’s important to pay particular attention to the keywords that people are utilizing in an attempt to get to your website. Often, you will begin to see keyword patterns popping up within your server log. Upon seeing these patterns, you should make efforts to dig deeper and learn more about the keyword market making up that pattern. Many web owners out there have a habit of overlooking this strategy and this is unfortunate because the server logs you possess have the best information regarding keywords research. In order for you to get great results in your keyword research, you ought to incorporate a 3rd party analytics program. This program will provide you with information on the keywords that brought visitors who not only visited your website, but undertook the desired action as well. Keyword research is something that every individual who aspires to make it big in the online business should undertake. Such research can then be used optimally to bring about financial rewards.